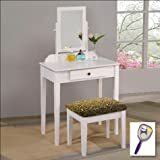 Save on Vanities & Vanity Benches at Animal Backgrounds. Top brands include The Furniture Cove. & The Furniture Cove. Hurry! Limited time offers. Offers valid only while supplies last. 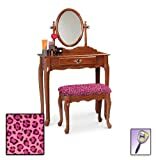 New White Finish Make Up Vanity Table with Mirror & Aqua Zebra Animal Print Bench And 4 Tier White Finish Book Shelf includes Free Hand & Purse Mirror! 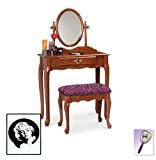 New Marilyn Monroe Themed Oak Finish Make Up Vanity Set with Adjustable Mirror and Bench with your choice of seat cushion theme! Also includes free hand & purse mirror! 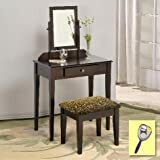 View more products in Bedroom Furniture.